Hand-knotted "Pak-Mahal" oriental rug_9x12_vegetal dyes/ hand-spun wool. 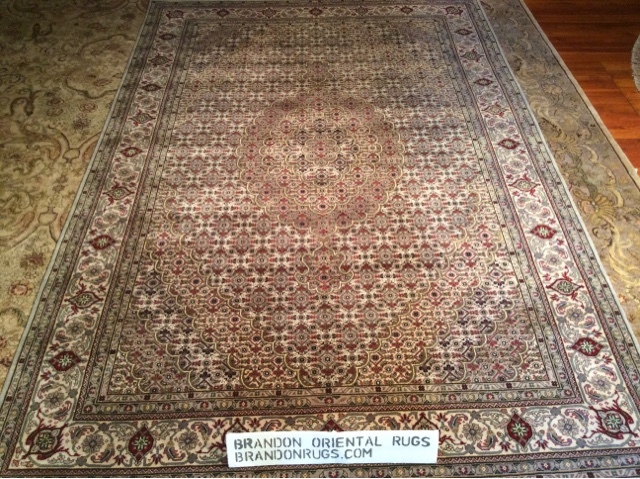 More new ideas about using oriental rugs and decorative area rugs from Bucks County, PA Rug Store Brandon Oriental Rugs, (www.BrandonRugs.com) on the Pinterest Board "Our Style"
Our Style: (BrandonRugs.com) You have plenty of experience with how others play the SALE game: One says, "My stuff is a gazillion percent off." Then another comes in, "Oh yeh? Our stuff is a gazillion and one percent off." You win when you shop for your rugs at Brandon. We've done away with the percent-off nonsense. 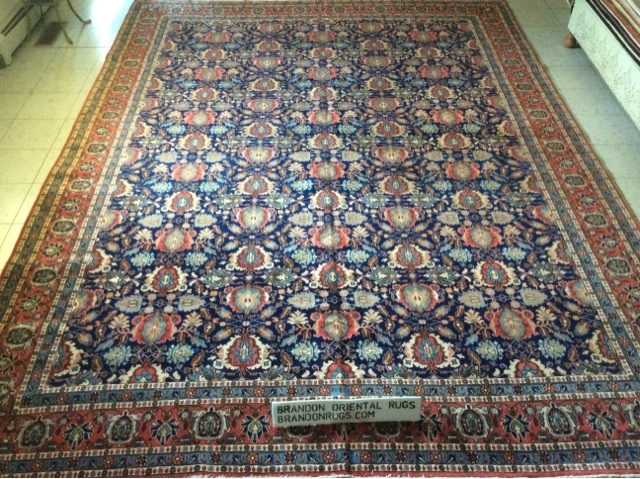 Using quality as the point of comparison, we guarantee you will get the best deal possible on the rugs you want to own. 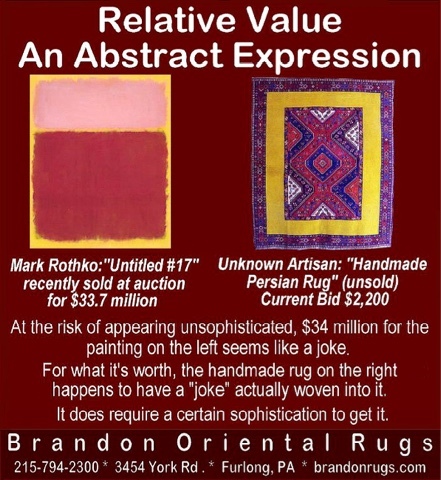 More news about oriental rugs from Bucks County Rug Store Brandon Oriental Rugs (www.BrandonRugs.com) on Pinterest Board "Rules That Do Not Change"
Value depends on how you see things. Handmade oriental rugs deserve a closer look. 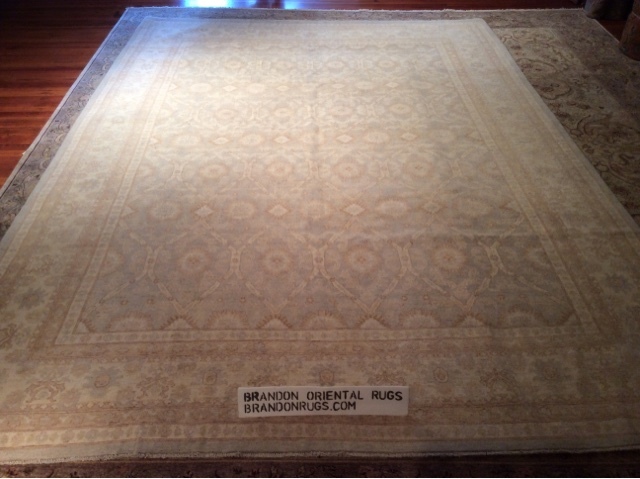 (BrandonRugs.com) A library is a sign of civilization. A library with real hand-knotted oriental rugs is a sign of an advanced and thriving civilization. Often less expensive than many other pieces of furniture in a room, the handmade oriental rug always delivers an amazing performance from its supporting role. Whether it appears first or last, it is often crucial for making sense of the roles of the other players in the scene, and helps to make every part shine. 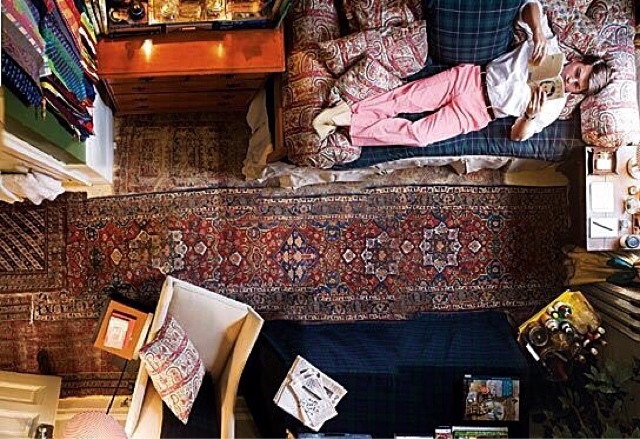 On the journey to cool interior design, oriental rugs are great to have along for the ride. And when you arrive, they always seem to fit in with whatever is happening. 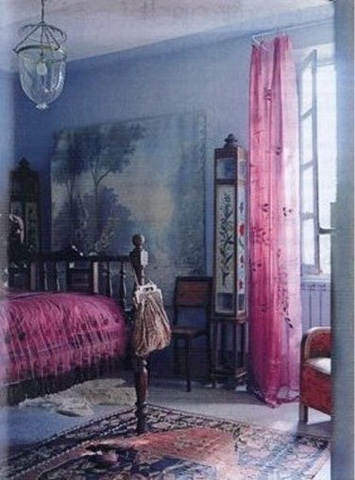 (BrandonRugs.com) Proof of genius can be seen in the use of real handmade oriental rugs in the places you inhabit. "This is Maximilian Sinsteden’s dorm room. He’s a college senior. He’s already got clients." 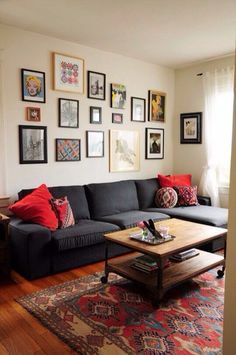 (BrandonRugs.com) Remember when you've filled your walls to the last square inch with works of art, there's still a lot of space for you to fill on the floor (your "fifth wall") with at least one more work of art: a real handmade oriental rug. 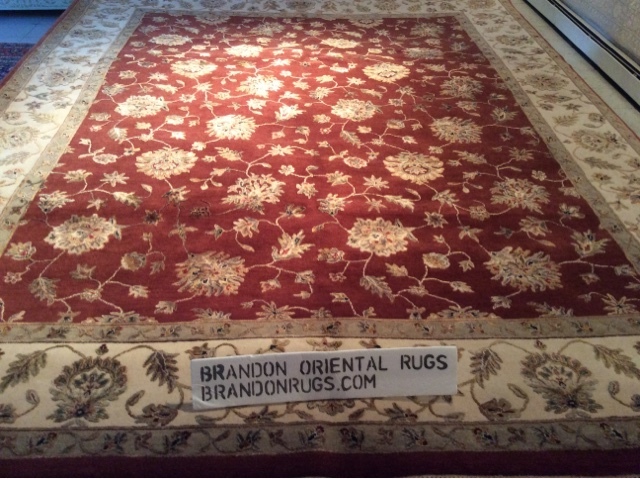 Bucks County specialty rug store, Brandon Oriental Rugs, is an expert "match-maker" when it comes to mating real handmade oriental rugs with your decor or design plans. 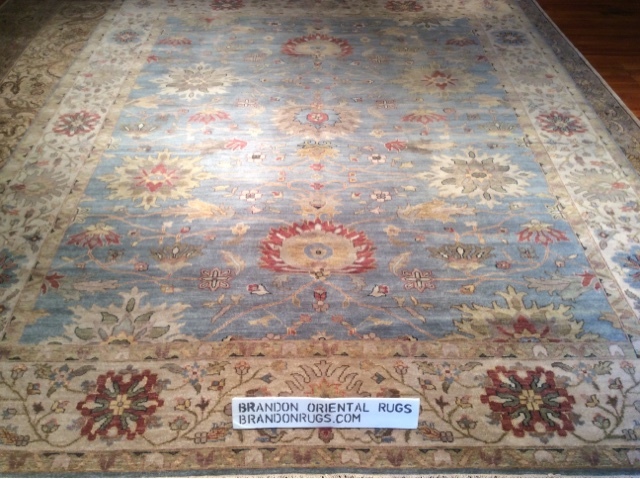 Whether you are redecorating, trying to plan a room in a new home, or looking for a way to make everything you've accomplished thus far in your home work together in a satisfying way, Brandon Oriental Rugs can help you find the perfect solution -- a rug that makes everything else click --when your answer is really to be found underfoot.